Morinomiya Q’s mall is a “runable” shopping mall with the artificial turf track on top. Osaka castle park is a very popular place for running or jogging. It’s an attractive area for its spacious, greenery-rich grounds with many important cultural treasures. If you want to try something new, there is a new 300-metre running track next to it. It’s a “runable” shopping mall with the artificial turf track on top of the mall. 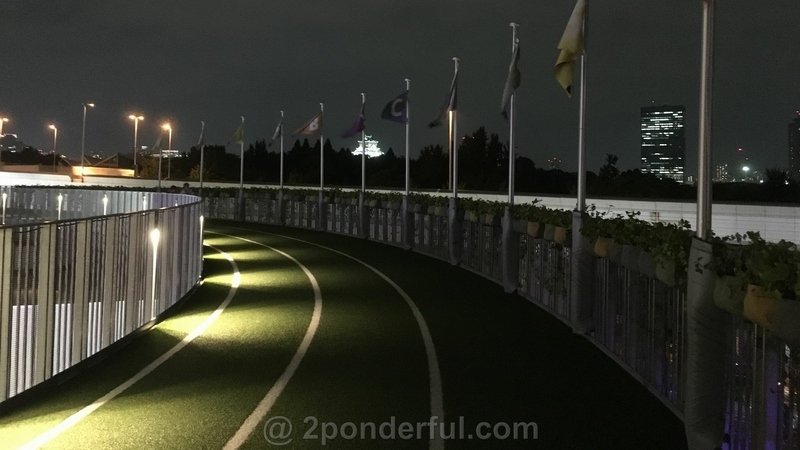 While you run “Air track” lets you view both Osaka Castle park and the urban surroundings from a new angle!